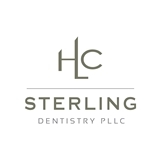 Sterling Dentistry PLLC (New York) - Book Appointment Online! Dr. Harry Campbell is the GOAT of dentistry! Hands down, the best dental experience I've had in life!